Often people still naively believe the old maxim, that if you create content for your website, traffic will somehow come to check it out. Alas running a site is never that easy. It can be highly competitive to hold the top slot in a Google search. Things are further complicated by Google paid ads, and other “features” taking up valuable real estate on the search engine results pages (SERPS). You can help yourself, in many ways, by carrying out good SEO practices. You can also boost your chances of people seeing your content by observing how your competitors act to gain traffic. Here are some of the many competitor analysis tools you can use to help you improve your website’s performance at the expenses of your competitors. 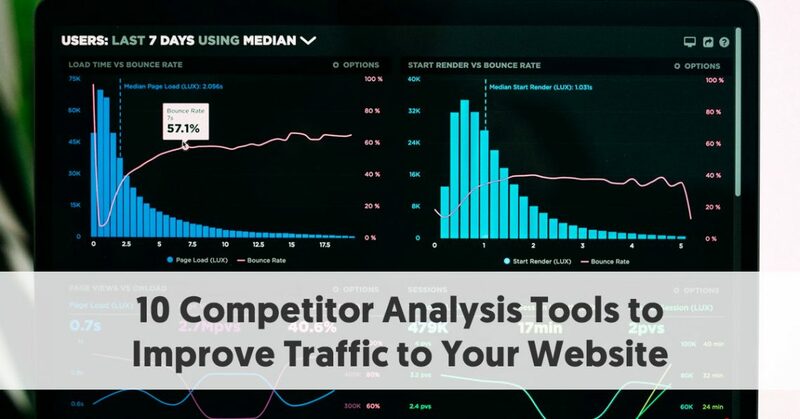 You can use these competitor analysis tools to show your competitors focus on their traffic-building activities, or even if their results are purely random because they don’t make much effort to follow SEO principles. The tools can tell you the key terms your competitors focus on, and possibly give you ideas for future content, to help you to outperform them in important searches. There are effectively two halves to successful competitor analysis. First, you determine what your competitors are doing to successfully affect the search engine rankings. You then need to take that information and create content that will outperform their offerings. At the same time, you need to ensure that everything you do in relation to your content is done with best practice search engine optimization (SEO) in mind. These competitive analysis tools can help you in time outperform your competitors, particularly for the most important keyword terms that bring the most relevant targeted traffic. These tools will be just as valuable if you choose to concentrate on PPC Google Ads. In this situation, your focus will be on using relevant tools to discover the best keyword terms to bid on for your ads. You might wonder why your competitors outperform your ads, even when you appear to gain plenty of clicks. The answer will usually come down to your competitors choosing better keyword terms than you, and you can use these competitor analysis tools to discover which keywords bring most success. The key competitive analysis tool is the Organic Research Report. This shows you the exact keywords your competitors are ranking for in organic search results and how much traffic this brings them. The Top Pages report shows which pages send the most traffic to their sites. The Content Gap feature uncovers the keywords your competitors rank for, but you don't. 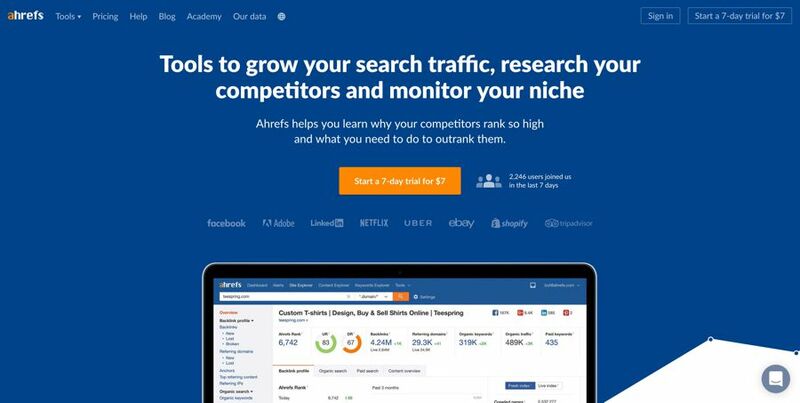 Ahrefs includes data for more than 150 million keywords in the United States alone. You can combine the data you gain from competitor analysis with their Keywords Explorer tool. This makes relevant keyword suggestions from a database of over 3 Billion keywords. 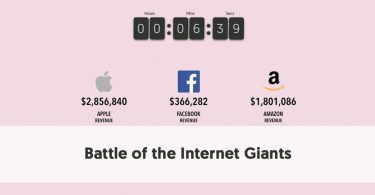 Alexa is probably best known for ranking all websites on order of traffic statistics. However, it offers firms much more than just a single ranking position. It provides tools which assist with competitive analysis. With Alexa being an Amazon company, it should come as no surprise that Alexa provides particularly useful information for digital marketers. You can use its tool to benchmark yourself against your competition, and better understand your marketplace. Top sites - view and analyze the highest performing sites on the web in multiple ways. 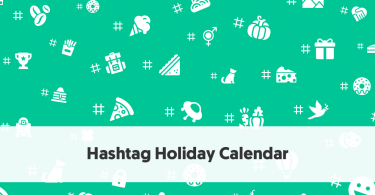 Buzzsumo helps you track the popular content shared on social networks. 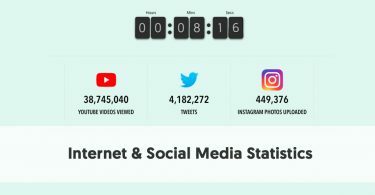 You can use it to keep an eye on your competitors, discovering which types of their content generated most social shares. You can search both by URL and by content niche. So, for example, you can enter your competitors’ URLs to discover which were their most shared posts. Alternatively, you can search by your niche, to find out who has produced the most popular content on a specific subject. You can even set up Competitor Content Alerts, giving you a content alert, every time content is published by your competitor. Buzzsumo also produces detailed competitor content performance reports. These show where your competitors are gaining success, analyzing average shares by network, by content format, by content length and day published. Most people restrict their Google searches to just the basic operators. They might put “quotes around” words they want to combine in their searches, but most people don’t do anything more than that. But Google offers so much more. Google Advanced Search Operators give you much greater flexibility in your searching. You can use the Google Search Operators to set up filters in your searches. A typical Google search gives you thousands (if not millions) of search results. Few people look beyond Page One. You often see irrelevant results that you bypass. For example, if you want to research your competitors online, you probably don’t want to include their Wikipedia page – you will want to focus on primary research. You can add the -Wikipedia filter to exclude Wikipedia from your search. All you need to do is to put a – in front of any term that you wish to exclude from your search. Google implicitly assumes you are using the AND filter whenever you search for two or more words. If instead, you want to search for one term or another, you use the OR filter, e.g., “influencer marketing” OR PPC. You can use the Neil Patel All-in-One SEO Tool to learn why your competitors rank so high and how you can outrank them. All you have to do is to type your competitor’s domain into the box on the page (making sure that you select the correct country of interest to you). This is a free tool which gives you a good indication of how your competitor gains its traffic. The tool shows you quite a lot of useful information. It tells you the number of organic keywords the site ranks for, the traffic it gets from these keywords, the number of paid keywords it is currently bidding for, and an estimate of their paid ad cost. It then shows how the site’s traffic has moved over the last six months. It also provides quite a few other statistics relating to SEO, including the site’s domain score and its number of backlinks. The tool provides two other useful pages of information. Firstly, it shows the site’s top traffic pages by country, giving the estimated traffic to that page from Google searches. It also shows some social links from those pages. The second useful page highlights the site’s top keywords (from organic search), along with each term’s search volume in the last month, the site’s ranking in Google for the term, estimated visits from Google from that search and an estimate of SEO difficulty for the term. Rank Signals helps you to discover the SEO backlinks and traffic sources of your competitors. All you must do is to enter their domain and Rank Signals will find the backlinks for you. You want to focus on do follow backlinks with high PageRank and a low number of external links. SEMrush is one of the larger SEO tools, that helps you carry out competitor analysis to optimize your campaigns. If you want more detailed information, Robbie Richards has published an extraordinarily in-depth (15,000 words) review and tutorial on SEMrush – he is generally in favor of using it as a tool. It shows search engine results updated in real time showing multiple results relating to your (and your main competitors’) campaigns. This can help you select suitable keyword terms on which to focus your future content and marketing. You can use it to compare your competitors market shares, along with their sources of traffic. It also assists your strategy by highlighting similar sites, based on similarity and rank. It can find those competitors you might not necessarily know existed. Although Siteliner is probably primarily designed for people to use on their own websites, there is no reason why you can’t use it to find duplicate content, broken links, and more on other sites in a more tactical way. You would do this to gain a backlink from a quality website. You would use Siteliner top find a broken link on an authoritative website, and then suggest that they link to your content instead. Obviously, you must have quality content on your site, although you might use Siteliner to come up with suitable topics for your future posts. The key to success, however, is the quality of the page you suggest as a replacement link. For example, if you are in life skills/ self-improvement niche, you would value a link from a major site with a high Alexa Ranking, such as Addicted2Success. You could use Siteliner to analyze Addicted2Success, looking for any broken links. If you see a broken link where you could offer a suggestion (or you could write such a post) you can then approach the website to suggest they use your content instead for the broken link. Spyfu helps you to download your competitors’ most profitable keywords and ads for both paid and organic search. It offers three pricing tiers: Basic, Professional, and Team. The main difference between the tiers comes in the number of sales and domain contacts, weekly tracked keyword rankings, and top list results. You get unlimited search results, data exports, and domain overview PDFs at all levels.